INTERESTED IN MAKING A DONATION TO THE LIBRARY? The mission of the Valentine Public Library is to meet the evolving educational, cultural, informational and recreational needs of the public by providing modern library resources and services. Philanthropy makes it possible for the Valentine Public Library to deliver the best programs and services possible. Through your donations, volunteering, and advocacy you help the Valentine Public Library meet its mission. With your help, we can champion the joys of reading and make the library a vital community entity. You may make a tax-deductible donation to support the library at any time by making a check payable to the Valentine Public Library Foundation or the Friends of the Valentine Public Library. Both the Valentine Public Library Foundation and the Friends of the Valentine Public Library are organizations that support the library. Both of these organizations are 501c3 tax exempt entities. Check out the information under this giving tab for each organization. If you would like to discuss giving options please contact the library at 402-376-3160. Library personnel will be will be glad to direct you to someone who can assist you assist you. 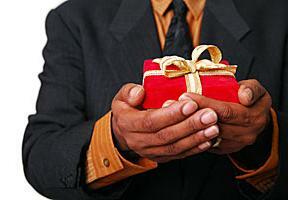 The library welcomes gifts of any amount. You can make an annual donation to the library to either the Friends or the Foundation. Would you like to honor a loved one? Consider a tribute or a memorial. Amounts are kept confidential if you so desire. Gifts to endow the library demonstrate a fundamental dedication to the long-term intellectual and cultural vigor of the Valentine community. You can help build the library endowment through outright gifts of cash, stock, real estate or other assets, for example. You may also choose to include the Valentine Public Library Foundation in your will or other estate planning. The Library will accept donations of materials if they are in good condition and are an appropriate fit with our collections. If materials are not used in the collection, they will be sold during the annual book sale.